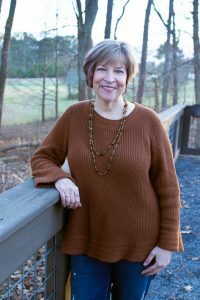 Lynn Tredeau is an American musician who lives and performs in the Pacific Northwest and “Fellowship of Solitude” (released July 20, 2018) is her fifth album. Her music has received multiple nominations since her debut in 2015 (her holiday album, “SnowLight” won Best Holiday Album 2016 at Enlightened Piano Radio) and it is easy to see why. Tredeau’s style is graceful and elegant, her music unpretentious and evocative. 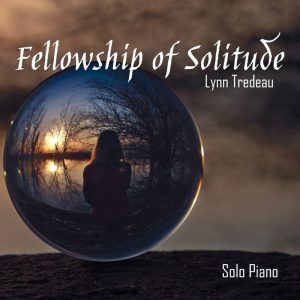 Believing in the importance of solitude to our emotional health and well being, Tredeau has created an album with pieces providing opportunities for reflection and contemplation, from which we emerge with a renewed sense of resolve and purpose. The title track, “Fellowship of Solitude,” expansive and flowing, sets the perfect tone for the rest of the album. “Traces of Daylight” is upbeat and sparkling, followed by the melancholy “Land of Forgotten Dreams,” a sorrowful reflection on childhood hopes and dreams that will never be realized. The Owyhee Mountains, located in extreme southwestern Idaho, was one of the areas of the continental United States to be reached by explorers and one of my favorite tracks, “Call of the Owyhees,” speaks powerfully to the rugged beauty and wilderness of this terrain. “Love Leaves a Memory” is an uncomplicated tune making more use of the lower register of the piano. “What Hides in the Dark” refers to the secrets from our pasts that we keep from all but those closest to us. A repeating section of this piece seems to be a conversation between the past (resonant bass octaves) and the present (haunting snippets of melody in the upper register of the piano) – quite fascinating and makes this piece another favorite. “Afternoon Reflection” is a luscious, soaring musical description of a lazy summer afternoon. “The Time Machine,” is another melancholy rumination, resolved by “Peace in the Midst,” – no matter how much we might wish we could turn back the hands of time and undo past mistakes, we must all make peace with the fact that this is impossible. “Left Behind” is a poignant reminder that though we might have the notion that we have not lived up to our potential we are, in fact, right where we are supposed to be and is followed by “Life is in the Journey,” Tredeau’s reflection on her own life’s path, each new day providing her with the opportunity to learn more about herself and the world around her. A final favorite, the dark, atmospheric “Purple Fog,” is a departure from Tredeau’s usual style and makes for a contemplative finish to this introspective and engaging musical experience. Very highly recommended!